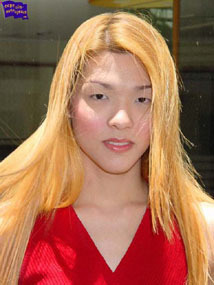 I was intrigued by Pik's looks, those wide almond eyes and long blond hair, and her makeup was beautiful. Pik is 21 years old and a student of design and fashion. Captain Outrageous has been involved with the ladyboy scene in Thailand for over twenty years.His contacts go well beyond the bar workers and into the colleges, beauty salons, cabaret shows, beauty contests, and just about anywhere else that you find these gorgeous girls. Many of the models are the Captain's personal friends.